Adjustable accessories provides multiple set-up options. Single pedestal display offers attractive alternative to wall-mounted boards. Double-sided feature for maximum presentation space. 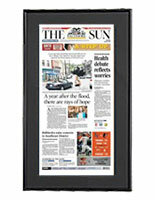 These enclosed bulletin boards, cork boards come with two acrylic literature pockets. Use them to dispense magazines, flyers or pamphlets to client and colleagues. With adjustable accessories, these directory boards are multi-pragmatical cork boards. 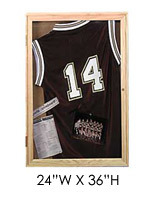 To vary the display, merely slide the board or acrylic holder up and down the grooved pole. Check out the beneath diagram to view our fabrication instructions. We supply all the essential hardware for an easy installation. This also includes pushpins and keys. Buy these cork boards or other floor-standing displays from our online website. These cork boards are outstanding directory boards utilized to communicate inside a lobby location. 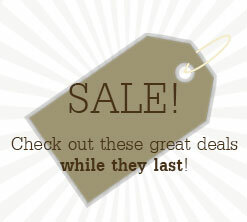 Use them to announce an upcoming event or for informational purposes. These enclosed bulletin boards, cork boards have a lock on the metal frame. This permits you to exhibit your documents without worrying that they will be damaged or removed. With their two-sided displays, these cork boards, likewise recognized as directory boards, can capture a human body's awareness from choice of angle. 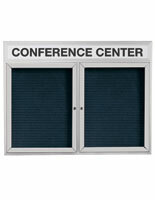 These cork boards are appealing directory boards with their brushed aluminum finish and single pedestal. 28.1" x 76.0" x 17.5"
9.3" x 8.0" x 2.3"